West Ham United looked in blistering form against Cardiff City on Tuesday and they will no doubt be eager to maintain their winning streak when they face Crystal Palace on Saturday. The Hammers secured an impressive 3-1 win over the Bluebirds thanks to a brace from Lucas Perez and a goal from Felipe Anderson, but there must be three changes made to the starting XI to blitz past Palace – not least because of Marko Arnautovic’s injury. Lukasz Fabianski should start as normal between the sticks. 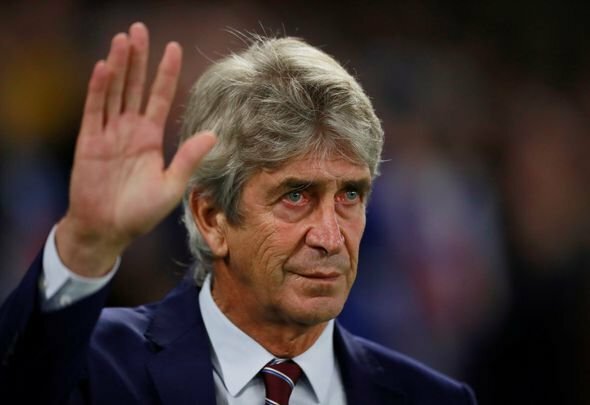 In the back four, Pablo Zabaleta must come in for Michail Antonio on the right as it is clear it is not his favoured position, while Fabian Balbuena must start in the central defence at the expense of Angelo Ogbonna due to his partnership working so well with Issa Diop. Mark Noble and Declan Rice should keep their places in the starting XI after such assured performances – they were fantastic and have undoubtedly established themselves as a formidable duo. Robert Snodgrass was fantastic against Cardiff – the two assists he provided were magnificent – which is why he should keep Grady Diangana out of the side for the second time. If things are not going the 31-year-old’s way, then Diangana is the perfect player to bring on to make an instant impact – but it is Snodgrass who should start, as he can really cause Palace some problems. Felipe Anderson is an obvious starter, as Cardiff really struggled to cope with his quality on the ball – and he will no doubt inflict the same sort of misery on Saturday’s opponents too. Javier Hernandez needs to retain his place up front, with Lucas Perez – who is on £80,000-a-week [Spotrac] – coming in for the injured Arnautovic to play alongside the Mexican international, especially after the ace’s two well-taken goals on Tuesday. Hernandez has proved in the past that he cannot play as a lone striker, so playing with Perez in a 4-4-2 formation will certainly bring the best out of him once again. 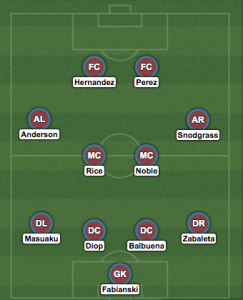 By recalling the likes of Zabaleta and Balbuena alongside properly unleashing Perez, the Hammers will have more than enough quality in their side to blitz past Roy Hodgson’s team with ease.